"I'm sorry Dave, I can't do that without a Google+ account"
Google needs a new slogan. Never mind "Don't be evil"; how about Harvey Dent's quote from The Dark Knight? "You either die a hero or you live long enough to see yourself become the villain." Judging by the overwhelmingly negative response to Google's purchase of ace home gadget designer Nest, it seems that many people reckon Google chose the latter option. There are two key concerns about the Nest acquisition: one, that Google will mess it up and two, that Google won't mess it up. The first camp has a point. Google has been in the home energy business before - its ill-fated Powermeter was canned in 2011 - and the list of discontinued bright ideas, many of them the result of expensive acquisitions, is so long that if I were just to list the names I'd be here all week. The prospect of Google buying yet another nice product to let it wither and die is hardly far-fetched. But it's the other concern that's more interesting, I think. It's the concern that, like Harvey Dent, Google has become Two-Face. 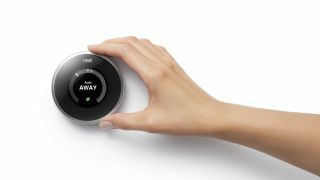 The internet is full of Nest fans promising to tear their thermostats from the wall before Google either makes them inoperable without Google+ accounts or uses them to spy on what you're up to. Perhaps my social media feeds are unrepresentative and I'm only following the most cynical people on earth, but what strikes me about that reaction is that appears to be the most popular opinion. I don't see anybody excited about what Nest's hardware smarts (and ex-Apple employees) could do for Google hardware, or how this could be a really significant development in the much-hyped Internet of Things. I think that's because there's a big gap between how Google presents itself and what it actually is, and awareness of that gap is growing. Its ongoing attempts to force everyone to use Google+ rankle with many, its recent acquisition of Boston Dynamics means it's now a military contractor, it's under almost constant scrutiny by regulators for what many consider anti-competitive behaviour (the latest victim appears to be Wikipedia, which is seeing views plummet thanks to the increasing appearance of Google's Knowledge Graph) and its employee buses have become targets for protestors who feel Google is having a negative impact on their city. The idea of Google as the little guy sticking it to The Man is decades out of date: it's a giant corporation on a scale even Samsung can only dream of, and the prospect of it getting even more ingrained into our everyday lives is clearly unsettling for some. Google probably doesn't understand that because it isn't very good at seeing the negative side of its actions. I can easily imagine Larry Page reading the Nest backlash, baffled by the negativity and the hastily 'shopped pictures morphing the Nest into HAL 9000. There's another Dark Knight line that would be just perfect for him. "I'm not a monster. I'm just ahead of the curve." The person who said that, of course, was The Joker. What else can we expect from Google in 2014?